An MGH Research Scholar and her team have found that genes influence how long we sleep, when we sleep and the quality of our sleep. Richa Saxena, PhD, and her team are making connections between sleep genes and illnesses like cardiovascular disease. Richa Saxena, PhD, a principal investigator for the Center for Genomic Medicine at Massachusetts General Hospital, is looking at the genetics of sleep and its link to disease. Dr. Saxena is a Phyllis and Jerome Lyle Rappaport MGH Research Scholar 2017-2022. What is the most exciting sleep research that you and your team are doing? What’s been most exciting for us, is that we found hundreds of genes for sleep during the last year. We found genes that influence how long we sleep, when we sleep and the quality of our sleep. We also found genes for whether we wake up a lot at night or have trouble falling asleep, as well as genes that determine if we’re sleepy during the day. Specifically, we found some genes linked to sleep can cause a person to develop cardiovascular disease. This is a new era for sleep studies. Even though we sleep so much of our life, we don’t know exactly what goes on in our brain when we sleep. But genetic studies can point a clear path for further investigation into the role of sleep. Why do we need to know what goes on when we sleep? Sleep is essential. We need it to survive, as our ancestors did. If you think about it from an evolutionary standpoint, it must be a critical function because it leaves us vulnerable to predators. Today, most scientists agree that eight hours of sleep per night is the right amount for humans. Yet, there are slight variations in daily sleep needs among people, and our needs change from infancy through our elder years. 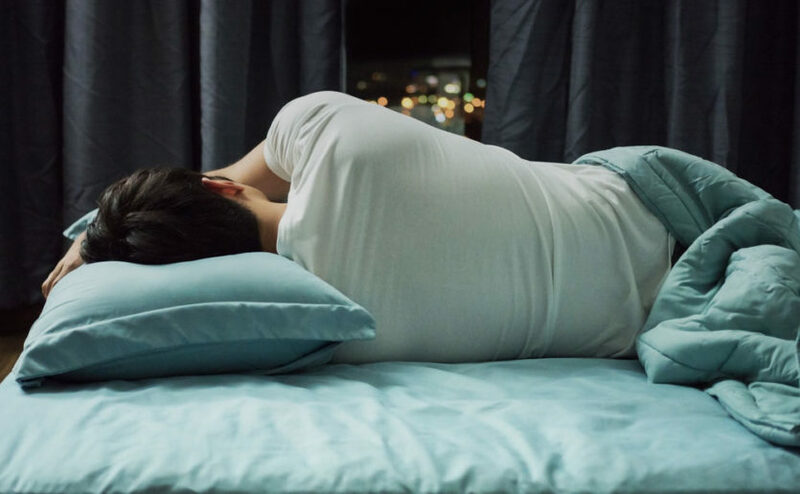 With more knowledge of the genetic connection to sleep, we could develop interventions and better medications for sleep, particularly for people with severe sleep disorders. And possibly prevent or intervene to improve diseases like heart disease, schizophrenia and depression that have also been linked to sleep genes. How did you become in interested in sleep research? While doing my post-doctoral research at Mass General in 2003, I studied diabetes and I found a gene related to circadian rhythms, which is one of the drives that controls sleep in our bodies. (The other is a sleep drive based on how long you have been awake). I wanted to understand how my gene related to melatonin, which is a marker of the biological night, would influence diabetes. That experience showed me that the genetics of sleep was wide open. We had done a lot of complex trait genetics in diabetes, but nobody had used these tools in sleep. What type of sleep research would you like to explore next? I’m interested in linking sleep to the beginning and end of life — exploring it from pregnancy through the neurodegenerative diseases of old age, like Alzheimer’s and Parkinson’s. I think understanding sleep is critical for figuring out what causes or accelerates neurodegenerative diseases and I would like to do more studies that include sleep monitoring and genomics in these populations. Our team is also looking into building mobile apps that can help with sleep monitoring. How did you feel when you were selected as an MGH Research Scholar? It was amazing to know that the selection committee believed in what I was doing so much that they chose to bestow this honor on myself and my team and our willingness to go in new directions. The team feels confident and I have seen them all blossom from the energy of this award. I am grateful for the donors who support the MGH Research Scholars program. This award has empowered me to look beyond my next grant and make my contribution to the world. To make a donation to support the MGH Research Scholars program, contact us.